Ten Strawberry Street Round Silver Beaded Lacquer Charger Plate 13"
Home > Products > Ten Strawberry Street Round Silver Beaded Lacquer Charger Plate 13"
The Ten Strawberry Street Round Silver Beaded Lacquer Charger Plate 13" is a charming addition to any collection. 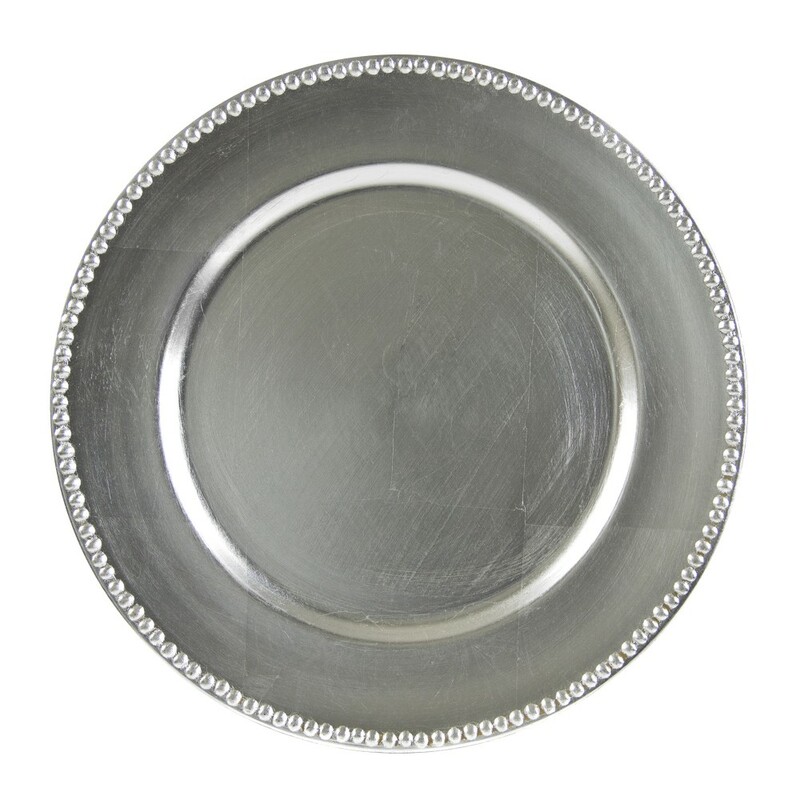 Boasting a muted silver hue with a beaded edge, this premium quality charger plate adds classic elegance to any wedding reception or fine dining setting. Providing the perfect harmony of beauty and functionality, this charger plate not only complements any table d�cor but also prevents spills and mess that might stain your tablecloth. Thanks to its lacquered acrylic construction, this charger plate combines delicate appearance with unbeatable durability and longevity. To properly care for this charger plate, hand washing is highly recommended.